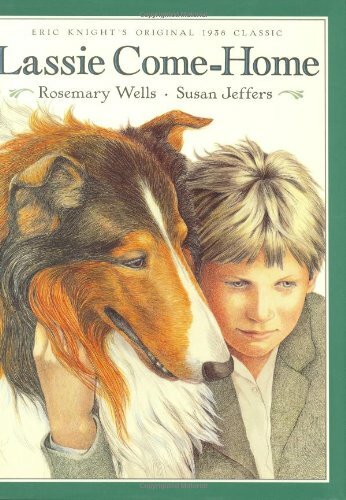 Synopsis: Eric Knight’s heartfelt tale of the noble collie Lassie, first published in 1938, receives a worthy new incarnation as a picture book in this splendid collaboration. About the Author&colon; Rosemary Wells is the author and illustrator of many beloved books, including those starring Max the bunny. Rosemary Wells lives in Scarborough-on-Hudson, New York. Susan Jeffers was a Caldecott Honoree for Stopping by Woods and an ABBY winner for Brother Eagle, Sister Sky. These outstanding books, in addition to Hiawatha and The Three Jovial Huntsmen, have placed her in the very top rank of American illustrators. Susan Jeffers lives in Croton-on-Hudson, New York.